HBO’s “Last Week Tonight with John Oliver” on Sunday took another look at presumptive Republican candidate Donald Trump and one of his business ventures that’s prompting lawsuits and scepticism. First off, the New York attorney general found that the school isn’t even a university and in a deposition from Trump, he admits he didn’t “handpick” instructors for the school, as he states in promotional videos. 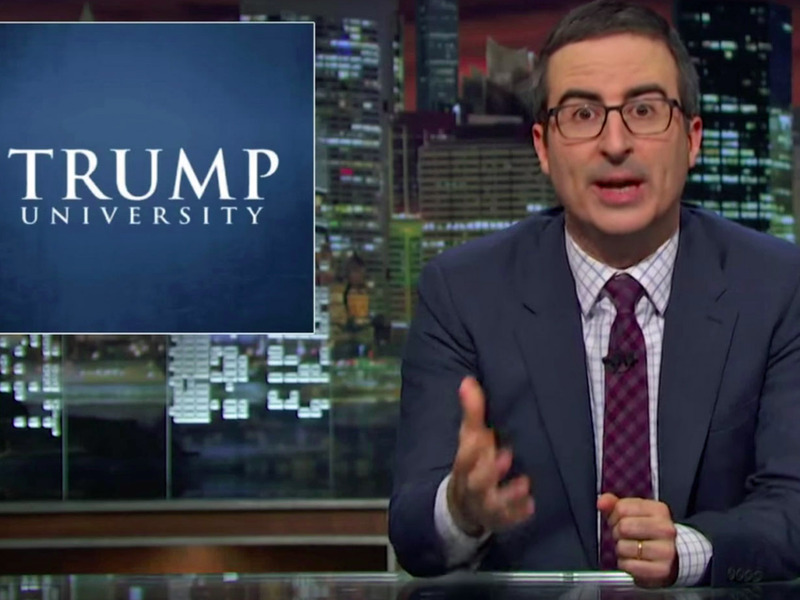 In fact, Oliver’s segment points out that instructors included a former salesman for Lowe’s and a manager for Buffalo Wild Wings. The segment highlights one former student, Carmen Mendez, who paid $35,000 for the courses and didn’t even get to meet Trump. Another former student noted that though students were promised a picture with Trump, it “turned out to be a cardboard cutout” of the real-estate mogul.